“Surely I can try to do 1/10000000th of what Andy Stack delivers for Wye Oak,” he asked himself, not remembering that pride comes before the fall. Seeing Wye Oak live a bunch of times, I am spellbound by Andy Stack drumming + playing keys at the same time. This is not a “greater than the sum of its parts” situation. It’s not the multi-tasking that makes me go slack jaw. It’s the conversation between his left hand on the keys and his right on the drums. Each hand has a distinct voice that serves the music beautifully. I took the one hand drumming for a spin using Ableton + a soft synth arpeggiator. I was surprised how my hi-hat patterns changed unconsciously to suit the melody. I don’t remember making those decisions, they just happened as a result of playing the keys and drums together. I’m looking forward to finding more surprises like that. I covered 18,781 miles via car this year on tour. That’s about 313 hours on the highway, or 13 days straight in a vehicle. An overwhelming amount of those days were filled with my favorite things: drinking coffee and making dumb jokes with my friends, playing drums, experiencing how massive and diverse the U.S. is in a car. The life spent on stage, doing what you love in front of awesome crowds is well documented (look at any band’s Instagram). There’s another part of tour that doesn’t involve the stage – coming home. There are many reasons to go on tour, but when I ask myself why the hell I spent nearly two weeks this October driving around the country I never have a succinct answer. The nights spent in hotels (if we’re lucky) or on floors (most likely) with your bandmates are like slumber parties. Who gets to have slumber parties as adults?! They’re the best. You fall asleep with your sides hurting from unexplainably stupid jokes. Does that count as a reason to tour? It’s certainly a reason. But you continue on tours even when you can’t think of a good reason to. The chase is intoxicating. The morning after I got robbed on the Matt Pond PA tour, Shawn Alpay and I were getting ready to check out of a hotel room. He asked me if I was ready to leave. I looked at him, grabbed my ear plugs off the dresser, put them in my pocket and said, “Yup, all packed up!” The set of ear plugs was my only remaining worldly possession at the time. I had no clothes aside from what I was wearing the night before. Shawn started laughing. We continued on with the tour and played a show like nothing happened the next night. The police report waited till the next morning. A week later, I got to play a sold out show at the Bowery Ballroom in front of my friends, family, and girlfriend who surprised me by flying in from her vacation in South Africa. The way the highs and lows pop up is unpredictable, but you know they’re coming. That’s part of the rush, and the chase. Tour is wonderful, the worst, completely foreign but strangely familiar, and I want to get back on the road as soon as I’m done vowing that I’ll rest and stay at home for a while — so, tomorrow. Tour is an act of pressure cooking. That cooking takes place in a van (or Volvo, or Mazda 3). With the windows up, the van is an air tight oven. Whatever you put in it expands. Friendships sprout faster. It seems like you laugh a little louder than you do at home. The highs and lows are heightened. When you come back, it’s jarring. There’s no gradual descent out of tour and into normal life. You’re just dropped off at home after driving up nearly the entire length of Interstate-5, stretching from Tijuana to Seattle, like that was some normal thing and not a moment in a life completely separated from your life at home. With this contrast, you dive into the thought process my friend referred to as “the abyss”. There’s a sense that your life at home is a ruse, and touring is who you are when you don’t have an apartment, job, and hobbies to define you. That dissonance between those two worlds (and being thrown back into one of them) is the abyss. I’ve been in the abyss many times this year. But it’s not a bad thing. Part of what I love about tour is how it heightens the contrast between you and your normal life. You’re more grateful for a bed, your girlfriend, and salads when you come off the road. In turn, after spending time in normalcy, you’re also more grateful for your bandmates and the opportunity to play music. It’s a crazy pursuit. There’s no other job where you spend 10 hours traveling to work for 40 minutes. It doesn’t feel like work. Whether the show falls short or it’s the best show of tour, you still go on to the next town. It’s the pursuit, the dogged attempt to get better at what you love doing no matter what. Despite every logistical and financial hurdle in your way, you keep moving. To put my freshman-year-at-Bard-College hat on, we’re willing ourselves towards The Other. This is the essence of the tragic/glorious metaphysical nature of tour. The Other is different for me than it is to my bandmates. It’s a future I haven’t met yet, but am working towards. That’s The Other to me. It’s knowing I’m relentlessly pursuing something that, even if I catch, I won’t be satisfied with. I’ll always be hungry to play more and perform better. Knowing that, there’s nothing you can do but go on the road to do what you love, even if that’s a little insane. This makes coming home hard. There’s no easy way to reconcile the two worlds, and the feeling of being split between them. But I’m sure I’ll have more time to think about that during the next 18,000 mile drive. No one is grabbing The National‘s “Trouble Will Find Me” LP off the shelves to get a party started. Unless that party is a dad-rock party. In which case, this is the first record you grab. The National have a penchant for making records that unfurl the more you listen to them. The more you give, the more you get. You’ll hear Sharon Van Etten’s harmony buried beneath an organ on your 34th listen of “Hard To Find“. You’ll hear the way the wonder twins Bryce and Aaron Dessner captian an army of woodwinds, brass, and guitar swells that overlap but still move together like a weather pattern. You’ll hear those things, but you’ll feel Bryan Devendorf’s drumming. Bryan perfectly illustrates how there are no small decisions in drumming. Every single note he plays has been carefully selected to serve the song in the most economical fashion possible. This does lead Bryan to play the same type of beat a lot, a call and response between bass drum and snare drum. (cough, cough, Apartment Story cough, cough) I’ve poked fun at it. But, his beats are variations on a theme. He knows what serves the band well, and sticks to his guns. 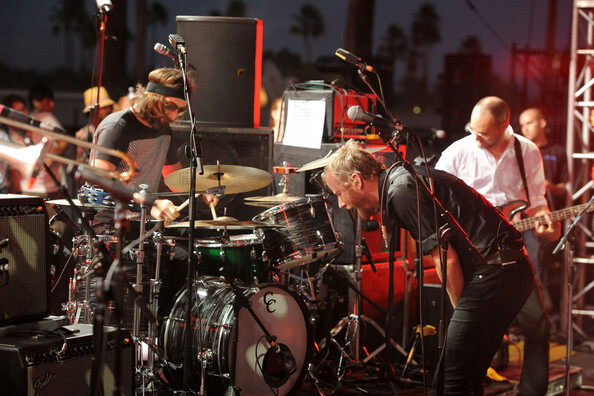 On The National’s last album, “Trouble Will Find Me” they entered new territory. They opened up the album with “I Should Live In Salt,” a slow burn of a track that oscillates from 9/4 to 8/4. The National hadn’t delved into non-traditional time signatures before, but they make this new terrain feel like home. This is largely due to Bryan’s work on the drums. He makes the flow from 9/4 to 8/4 seamless, and demonstrates how comfortable he is in his opening fill. It’s not too flashy. He’s not accenting any weird upbeats like the “e” of beat 7. He’s guiding the listener into the song, and into the album with confidence and cool. It sets up the whole song, and in doing so, the whole album. 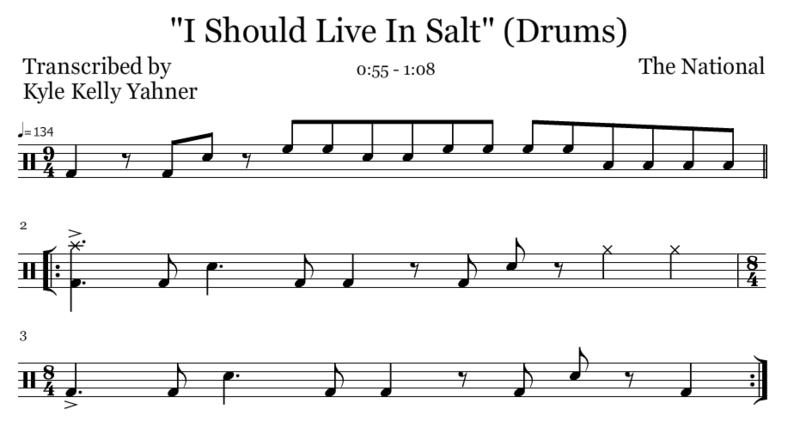 Here’s the fill transcribed below along with a YouTube clip that starts right at the fill. You’ll find his primary beat he uses in the verses transcribed as well. 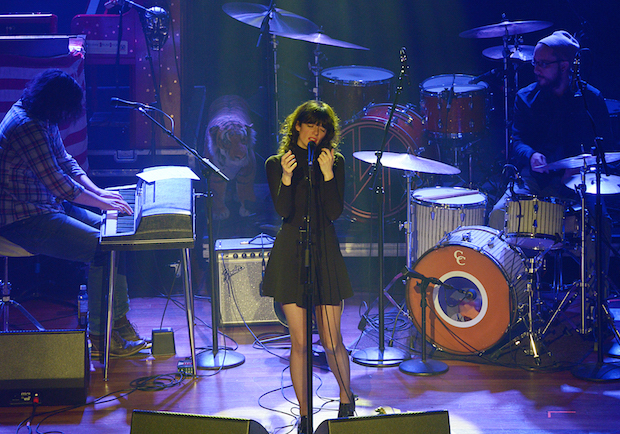 Natalie Prass (and her band) ooze cool, even while sweating the small stuff. The tonal and compositional qualities of Natalie’s self-titled record makes that crystal clear. Natalie recorded her debut LP on a “virtually non-existent” budget, and still managed to capture a warm, danceable sound not unlike early Stax recordings. The hit single, “Bird of Prey” off her album captures the dynamic that makes Prass’ music so irresistible. After nearly three minutes of straight up groove, the band shows off their chops in the back as Natalie steps forward vocally on the bridge. The band could go with the cliche stabs to punctuate Natalie’s bare vocals, but what they came up with is rhythmically genius, pretty complex and still somehow serves the vocalist. I don’t know what kind of coffee those session dudes in Richmond, VA are drinking but I want some of it. Here’s my transcription of the hits + a video that autoplays at the start of the hits for you to follow along. EDIT: Since posting this on Twitter members of Natalie’s band/arrangers Scott Clark, Trey Pollard and Pinson Chanselle have chimed in and given me edits on the transcription. It’s up to date. Thanks guys! Ahoy. I’m on tour and currently driving through some suburban town in Colorado on the way to Denver. I’ve been on the road for almost a month at this point. It’s been super fun, rewarding, super tiring and everything in between. As a noob to longer tours, I learned a few no-brainers about touring the hard way. I knew fast food was poison before going on the road. I read much better, more informative tour blogs that plainly state fast food is poison and you shouldn’t eat it on the road. But…chicken nuggets. Shawn Alpay said to me “tour is a marathon not a sprint” one morning in a Hampton Inn and Suites in godknowswhere, Connecticut. I had no idea why I felt like crap. Maybe it was the nuggets, Maybe it was the fact I sweat out a pound of water on stage and didn’t rehydrate after the gig. Maybe it was because I thought I could rehydrate with IPAs. Drink water. Eat salads when you can (hat tip to Rob Spectre). Workout if the hotel has a gym. Sleep more. Sleep again. When you check into a hotel, don’t scatter your clothes everywhere. Take out your clothes for that night’s gig. Pack em in you backpack you’re bringing to the gig. There is no way in hell you’ll pack in the morning before van call at 8 AM, after getting into the hotel from the gig at 1am. Don’t do it. Don’t stress. Just stay packed. C’mon, you’re not texting anyone about how load-in is going. Sure, you didn’t get the Americano you want. You didn’t get enough sleep. It doesn’t matter. You get to play a rock show, so go our there and be happy you get to do so. Carry good vibes to the stage and get it done. That’s all I got so far. I’ve spent a lot of time in vans the past few years, driving up and down the west coast, and occasionally over the Sierras. Each day on tour and on the road is an immersive experience. Despite how sick road food like Jack in the Box makes me feel, I still relish the feeling of focusing on music, and focusing on the friends with you in the van. This spring I’m going to have a ton of time to do just that. I’m hitting the road with Matt Pond PA for the 10th Anniversary tour of Several Arrows Later. Matt is a fantastic musician, songwriter and purebred east-coaster. I am very lucky to be accompanying him on drums with the rest of the PA crew. Shawn Alpay (of Debbie Neigher, Tiny Telephone Studios, and a bazillion other bands/studios) will be on cello too! This is by far the largest/longest tour I’ve gone on and I can’t tell you how thankful I am to be on it. Please say hi and drink coffee with me on the road. You can see the full run of shows here. Here’s where we’ll be (click on the map). There aren’t many things that I’ll get out of bed for at 4:45am on a Saturday. DonCat is one of those things. We zipped down to LA for a video shoot with Darren Rose (of 98.7 KROCK fame, and many an astute interview), and a gig at Villan’s Tavern. As soon as we opened the door to Darren’s place, we were greeted by his adorable dogs Otis and Penny, and loaded our gear on his deck. He was incredibly gracious and dealt with our zombie-like demeanor as the coffee we got in Gilroy at 7am started wearing off. We played 3 songs, did a quick interview and headed off to Intelligentsia for another round of coffee. On a caffeine high, we headed to Sam Ash and I bought God’s tastiest hi-hats: 15″ Zildjan K Light Hi Hats. I’ve been creeping on these hi-hats for years and years, since I first saw Killers drummer Ronnie Vannucci Jr. The timing couldn’t be any better because we are recording the 2nd half of DonCat’s second album this weekend. The gig at Villan’s felt like a marathon, in the best way. Almost immediately, thanks to a combination of PBR + cold brew coffee, I hit some “empty mind” vibe and sunk into the grooves. It’s always a pleasure playing as a trio and responding to each member’s inflections. In the Villan’s set we opened up a few solo sections so we had more room to experiment. It was an incredibly fun 24-sleepless hours in LA. Can’t wait to do it again. I’ve been a sideman for most of my musical life. It’s awesome. It’s like showing up to a construction site with the scaffolding already built. The songwriter did the really hard part, and now I get to add whatever body and details I want to it, in hopes of building something special. I’ve had the good fortune of working with seriously killer songwriters like Jesse Cafiero, Debbie Neigher, Duncan Neilsen and others (just to name a few). I’ve been nothing but elated to contribute to the songs they build. This past January through June I took a crack at actually writing songs and what came out was Edwin Valero. In January, Jess Silva, Andrew Nelson and I began working on tunes with absolutely no plan. We were just fleshing out melodic and rhythmic ideas, and enjoying the experience. Eventually those ideas became structures, those structures became songs and now we’re sitting here with a 3 song EP. It’s exhilarating and terrifying. These songs came from really sweaty nights at Lennon Studios, and from me scribbling chords that made absolutely no sense on little notebooks, left for Andrew to sort out. The process was long, at times arduous and something that I’m sure is pedestrian to any/every songwriter. But as a newbie, it was fascinating to me. I tried not to sing along with Jess as she sings “lost all your spontaneity” in El Inca at 2:01. It’s hard not to. I’m a sap, so I get easily excited at certain parts in songs, but this was different. A large part of what I loved about writing these songs is seeing tiny moments grow up and mature. Scrutinizing those moments is part of getting a song to a complete state, and when it’s finally there and you can just enjoy playing it, and experience it, it’s a fantastic feeling. From a drum performance perspective, this feels true to the math rock haven I grew up in, the Circa Survive I listened to as a teenager, and the jazz impulses I still tap into sometimes. That honesty feels good, and it’s something I chase in music. Thanks for reading. Special thanks to Ian Pellicci, Jacob Winik, Jess Silva, Andrew Nelson, Jesse Cafiero, Debbie Neigher, Chris Sigura, and everyone else who helped with this. Thank you. 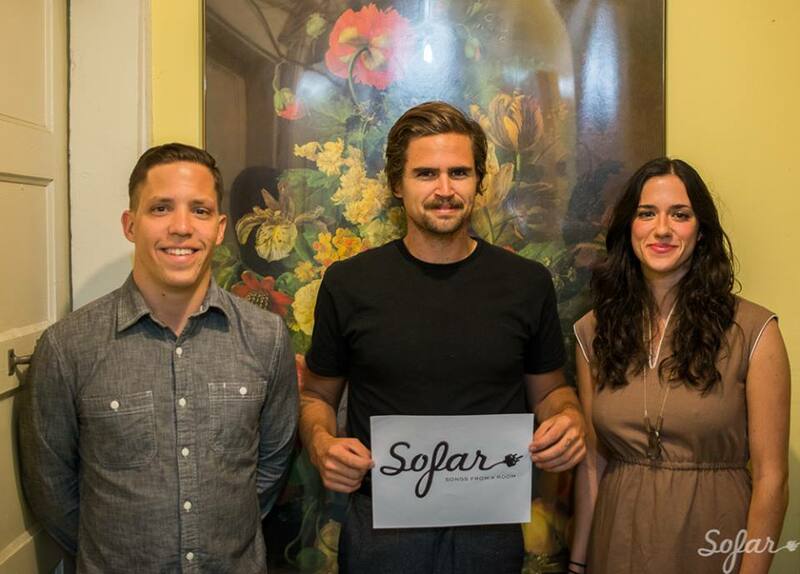 Last week I played one of my favorite shows in the city – SoFarSounds. The lead up to the show may seem like a nightmare – you don’t know where you’re playing until the day of, you don’t know what bands you’re playing with, and you don’t know what the venue will be like (because it’s someone’s house). I think SoFar might do this deliberately. The only thing you, the artist, can worry about is the music. That’s a great problem to have. DonCat played in a living room full of about 50 people sitting on the ground, listening to every little detail, every harmony and brush stroke. It’s a gift to have an audience that attentive, so you need to make the most of their attention and realize it’s in limited supply. This means making the right choices when it comes to what you bring and what you play. Duncan and Jess sound pretty damn fantastic together. Their vocal exchanges and Duncan’s guitar work are the focus of the show. It’s their job to add the color and they do it well. I wanted to outline that color, and not muddy it up with my drum noodling. Bringing toms or playing with sticks would have interrupted their vocal work. 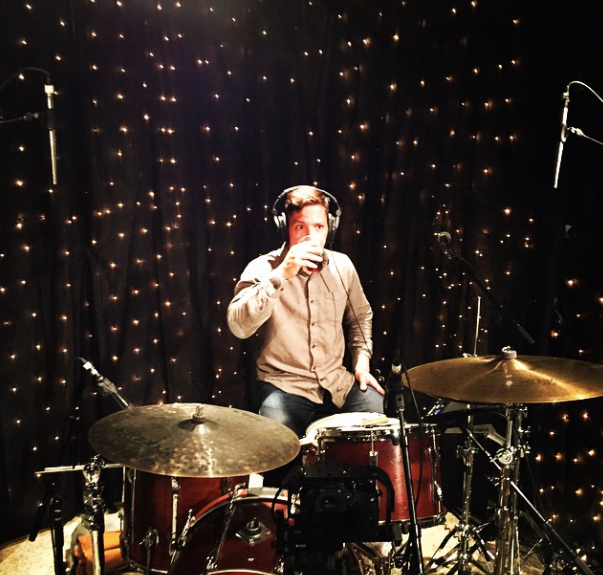 With this in mind, I brought a really minimal set up: Slingerland Radio King snare, 13″ Zildjan Hi-Hats, my trusty 22″ Istanbul Agop ride, and a suitcase for a bass drum. I came in thinking of two primary things: sections and dynamics. I wanted to punctuate each verse, chorus, bridge and each little lick – draw out the nuances of the song and make clear choices to accentuate them. As far as dynamics, I wanted a lot of room to work so I tried to make my quietest beat super freaking quiet so that my minimally loud playing with brushes sounded pretty loud in comparison. It’s always a pleasure playing with Duncan and Jess, and playing for such an awesome audience. Here’s the recordings from that night. Stay tuned to my Shows page for upcoming gigs with Jess and Duncan (respectively).